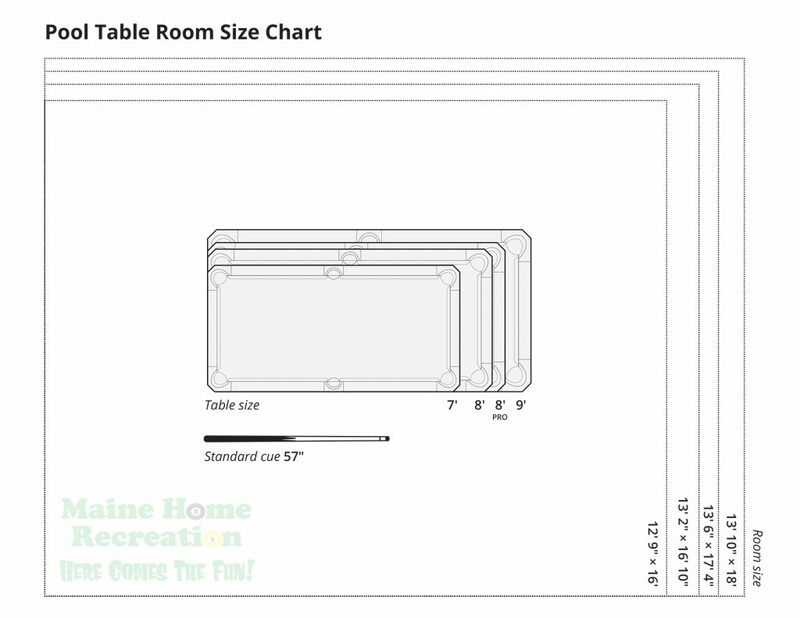 Room dimensions for a standard 57″ cue. * Please note that these are all “regulation” size tables. All regulation means is that the length is twice the width.